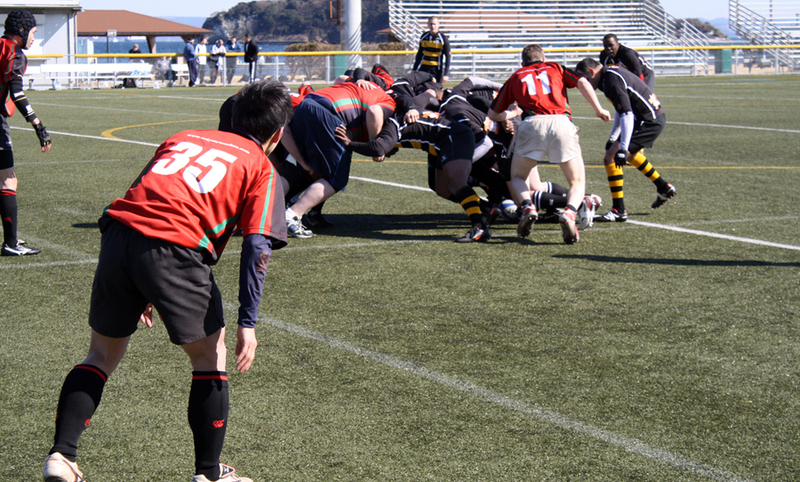 Thanks to all who came down to Chofu for the game on Saturday vs the Fevers and Navy. A beautiful day for rugby and also other activites it seems as we had a grand total of 7 Cru guys show up on the day.The line up was Travis, Evan, Lionel, Jason, Gen, Taka and Kevin after half time. We teamed up with the Fevers against the Navy who brought 30 odd guys on the day and we had a very enjoyable match up, going down 3 tries to 2 with our new star forwards Travis and Lionel teaming up beautifully in the pack! A few beers with the Navy lads in Shibuya and also in Chofu with the Fevers, all in all a good night out. Hope to see a bigger turn out for the next game guys. Thanks to Jase – who took the kit this week too.